The technicians were very friendly, especially Eric Hargrove. He met my wife and I with a smile and he took care of our needs. I would recommend him for honors. Jason White and Trevor Werner could not have been nicer or more informative! Patience was needed with me as I was a first time "single" buyer. 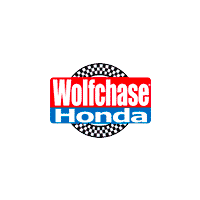 Wolfchase earns your business by being upfront and honest. No hidden agendas, just friendly, knowledgeable people who work to make you feel comfortable with one of the biggest purchases working people make. I have been a Honda customer for years. It's like a family reunion every time I come in to have my vehicle serviced... Reggie, Abdul, Dexter - these gents are like big brothers to me who always take such great care of everything.